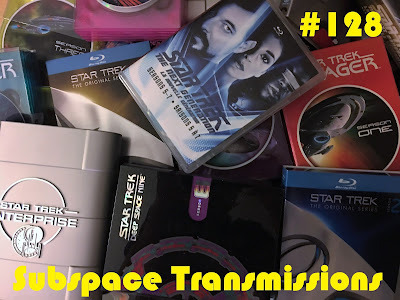 Okay folks, time to abandon the light-hearted topics for now and get down to real brass tacks; what are the greatest seasons in Star Trek's rich history, and which ones failed to connect? This week hosts Cam Smith and Tyler Orton take on the Herculean task of determining which series dominated and which floundered, beginning with inaugural seasons and working year by year all the way to the grand finale. How do TOS's astonishing first two seasons hold up, or Deep Space Nine's slam-bang Dominion War arc? And what can be said for TNG's rocky launch? Listen in for what is sure to be a debate-sparking podcast hour! Wanna appear on the show? Shoot us a 30 to 60-second audio clip telling us what you think are STAR TREK'S BEST & WORST SEASONS and you could take the spotlight in an upcoming program! You can also send any other questions, topic ideas or feedback to subspacetransmissionspod@gmail.com! Early TNG - What Went Wrong? Join us next week as we revisit the Voyager premiere Caretaker debate who is the mightiest Trek character of them all! #129 - WHO IS THE ULTIMATE STAR TREK FIGHTER?